Update your system with discount HVAC caps and plugs. Proper configuration of your HVAC system may require the use of caps and plugs. You can use these single-wall fittings to plug the line(s) in your ductwork. Check out our site and discover a variety of options for duct caps and plugs. 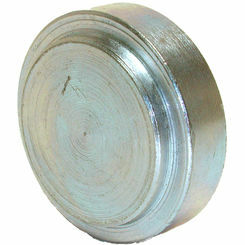 We carry trusted brand names, including Deflect-o caps and plugs that are available here at wholesale prices. Save on all the best HVAC fittings online. 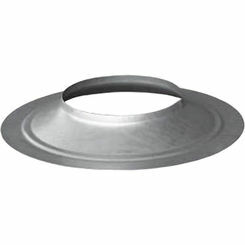 The HVAC parts that you will find at PlumbersStock can be used for many various things around the house. 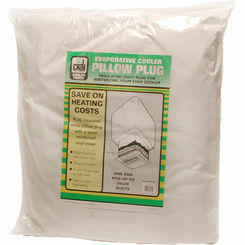 We have pillow plugs that will help save on your heating costs. They are designed to prevent heat loss through your heating ducts. You will also find blower shaft plugs that are designed to remove a blower pulley on coolers with hollow shafts. 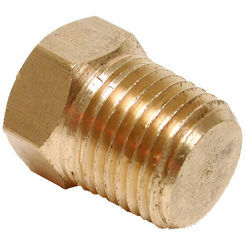 We also have brass plugs for winterizing your seal for your sillcock, and plugs that will hold water. No matter what you are looking to use a cap or plug for, you will find the right one here on our site. Because we know just how important it is to have the right duct plugs for your home projects, we have searched high and low to bring you the very best quality parts available on the internet today. Whether you are looking to stop the flow of water or stop air from getting into your ductwork, you will find everything you need here at PlumbersStock. Here are just some of the amazing parts you will discover as you are browsing through our products. Clean Seal Plug – Our clean seal plugs hold back up to 13 PSI or 30 feet of head pressure. They are designed to keep work area and plumber dry while on the job. Our clean seal plugs seal both plastic and hard to seal cast iron threaded cleanouts. Gripper Mechanical Plug – Our gripper mechanical plugs are used in a variety of applications. They are used for drain, waste, and vent testing as well as stack testing. Our gripper mechanical duct plug has a max back air pressure of 17 PSI and back pressure 40 ft of head. It is made out of rubber and plastic and is specially designed with a End-of-Pipe design. Pillow Plug – Pillow plugs are a great way to save money on your heating bills. They are highly reliable and extremely durable. This particular pillow plug is an insulated winterizer pillow for ductless installations and mobile homes. Its long lasting, easy to clean, and simple to install. And More – These are only just a few of the many great HVAC caps and plugs we have to offer. At PlumbersStock, we take pride in the large selection of caps that we have to offer. We have some of the very best products that you will find on the internet anywhere. If you are looking for something reliable, durable and easy to use you have come to the right place.  We are an industry leader in offering fittings online.